today I am bringing you a clean and simple card featuring Clearly Besotted Stamps Bookworm Stamp Set and Bookworm additions. 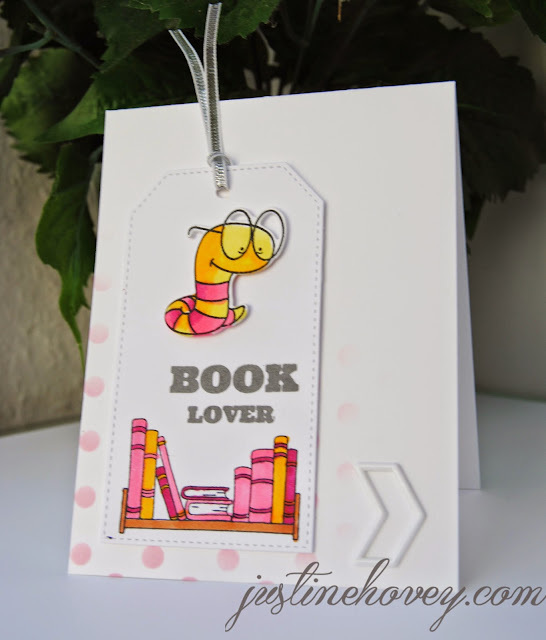 This adorable stamp set is perfect for the book lover to put a coffee/bookstore gift card in. I coloured this card with Copic markers. As always a full tutorial and supply list is provided towards the end of the post. Enjoy!